We are an organization that provides moving arts instruction in yoga, aerial yoga, solo/partner acrobatics, dance and creative aerial arts. Need performers for your next event? 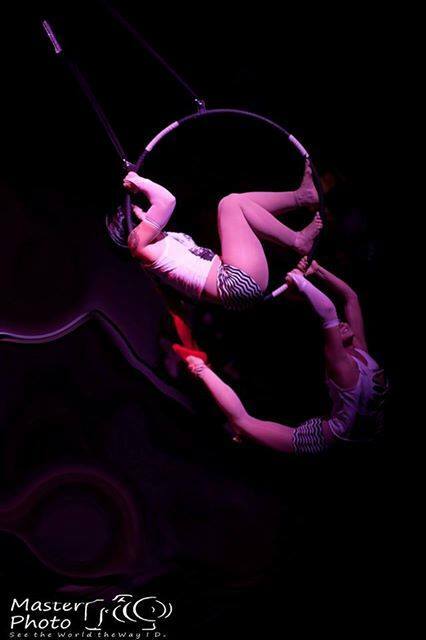 Contact Firebird to book acrobats, aerialists, dancers, fire and hoop performers. 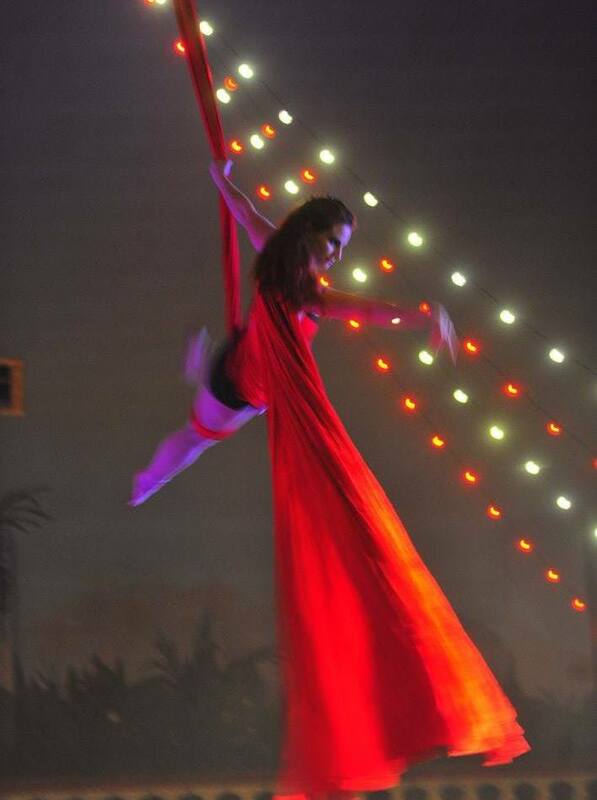 Firebird can provide costumes, make up, performers and insured aerial apparatus. Nadja Tizer is the owner and operator of Firebird Moving Arts L.L.C. Nadja has been dancing and performing since the early eighties. She became a 200-hour certified yoga instructor in 2008 and an aerial yoga instructor in fall 2009. 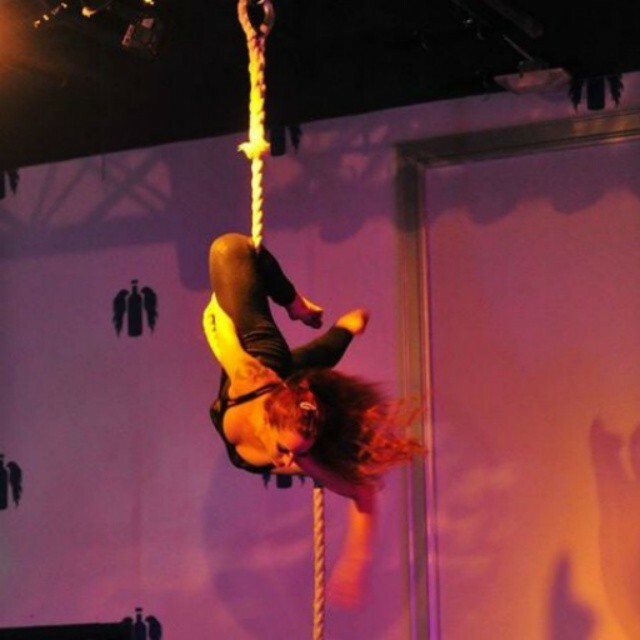 She has been teaching aerial dance classes and workshops to students of all ages since 2011. She currently teaches and performs around the Denver metro area. 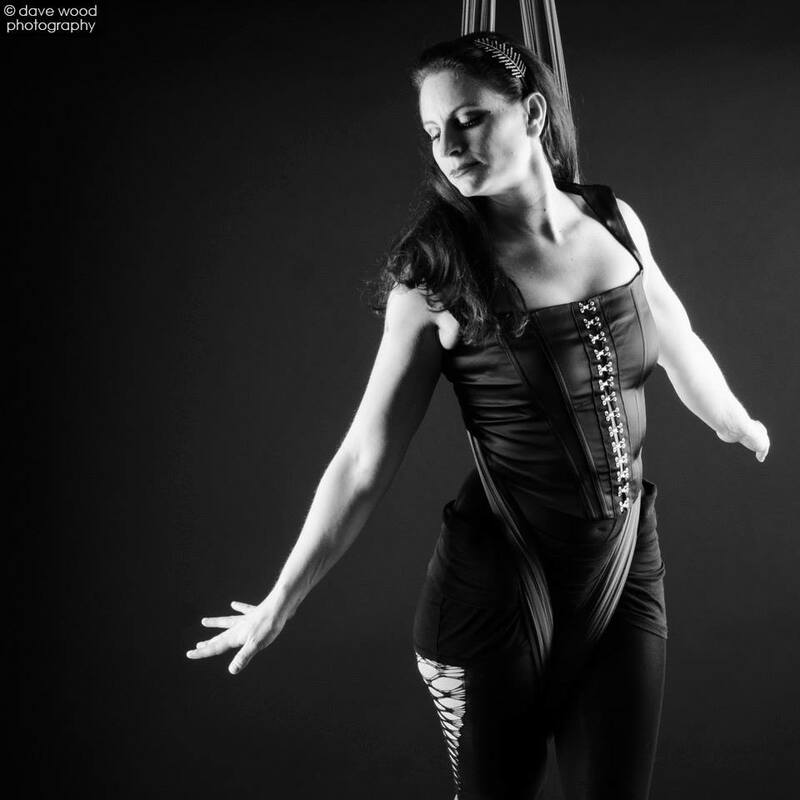 Nadja’s specialty is choreography and performance for aerial hoop and fabric. She also works with a variety of talented circus arts performers. Why book Firebird Moving Arts? Firebird Moving Arts provides aerial and acrobatic entertainment and performance for events (parties etc) and venues (clubs, theaters, art galleries etc). 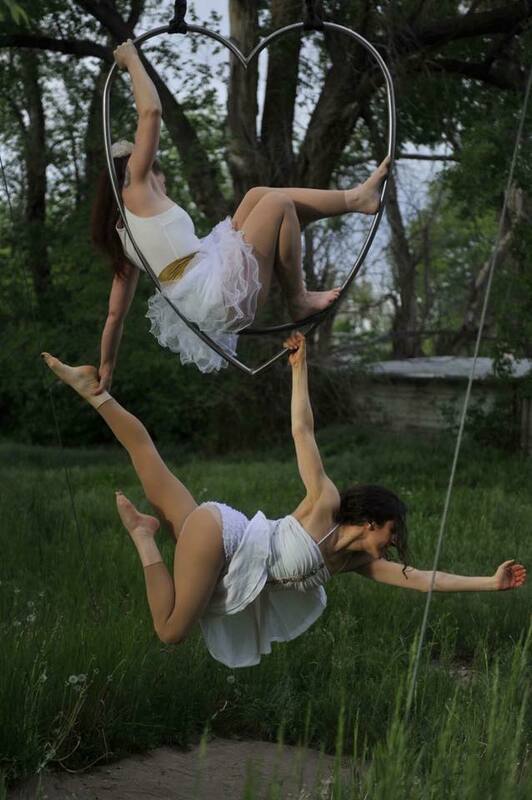 Nadja’s primary talents are lyra (aerial hoop) and aerial fabric performance. Firebird also provides solo/partner acrobatics, a variety of dance styles, flexibility/contortion, aerial fabric, rope, spansets, net and trapeze upon request. I always look forward to aerial yoga with Nadja. I enjoy her more restorative style of yoga, plus integrating fabric brings in fun, playfulness, and the ability to go deeper into postures. Nadja does a great job introducing aerial yoga to students who are new to aerial or yoga, and her classes are never the same so I get something new out of them every time. I have hired Nadja for several shows, and every time she put on a unique, beautiful, entertaining show. As well as always being professional and delight to work with, I will continue to book her whenever I can! Aerial yoga is so amazing! After a class I feel so refreshed. Nadja is a great teacher. © 2019 Copyright Firebird Moving Arts. Built by Michelle C. Villalobos.